The internet has connected us all in truly fascinating ways, and the Labs Slack channel is a place where we can chat and exchange ideas freely despite being stuck on opposite ends of the planet. From robotic bees to Japanese biscuit preferences, the free flow of information has led to a “light-hearted” competition as everyone on the channel competes to show off the coolest things that they have found. So without further ado, here is a round-up of the absolute coolest things that we have seen in October! Science fiction from the 50s onwards has promised us a flying car in every driveway and a robot chef in every kitchen. While we are still intensely bitter about the lack of flying cars in production at the moment, the good people at Moley are at least doing their best to fulfil the other part of the bargain, designing and building fully automated robot kitchens that will prepare food and drinks for you, with only the bare minimum of human effort. It all starts with a single pair of fully articulated robotic hands that can perform all of the same fine motor functions that a human cook is capable of, from dicing an onion to cracking an egg. Something that many of the Labs team have admitted they still can’t do without getting a bit of shell in the bowl. 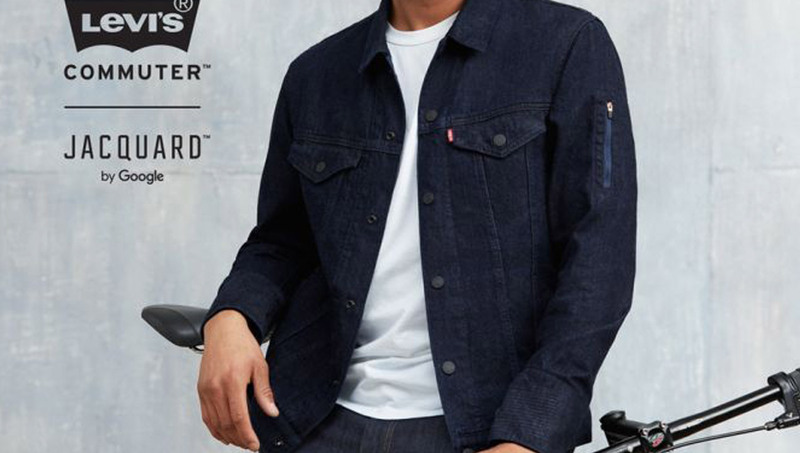 Famed denim maker Levi has partnered up with Google to create an item of clothing that also functions as an interface and portable computer, like a smart phone without a screen. Project Jacquard was conceived as a textile replacement for the existing interfaces that we use, and while tapping your cuff to answer the phone or skip to the next track on your playlist sounds like amazing fun, the question on everyone’s mind was; is this another case of Silicon Valley creating a solution to a problem that doesn’t exist? As pretty as the Levi Jean Jacket was, it is difficult to compare anything to the beauty of this animated film that documents the life of Vincent VanGogh using oil paintings in the style of the master himself. All 56,800 frames of Loving Vincent will be hand painted in oil on canvas by a team of 30 artists over the course of two years. The state of the art studio where they are doing this work promises to cut the time for each painting down to a mere 40 minutes. If you happen to be an expert oil painter, it may be the perfect time to make the jump into movies; Loving Vincent is still recruiting. Sleep is one of the few basic human needs that we haven’t tried to apply technical solutions to. In fact most people, before falling into the primal darkness of sleep, try to disconnect from all of the devices that make their lives easier through the day as a means of unwinding. Luckily there is at least one bold researcher out there on the cutting edge of snoozing, trying out all of the multitude of technological solutions that have sprung up in recent years to try to identify the perfectly tailored combination of sounds, nightlights, smart pillows, auto-adjusting mattresses and self-hypnotic guided breathing apps. Check back in with us next month for another round of cool things, and let us know whether you would rather have your phone sing you gently to sleep, or to be the proud owner of a jacket that can tell you the time anywhere in the world.